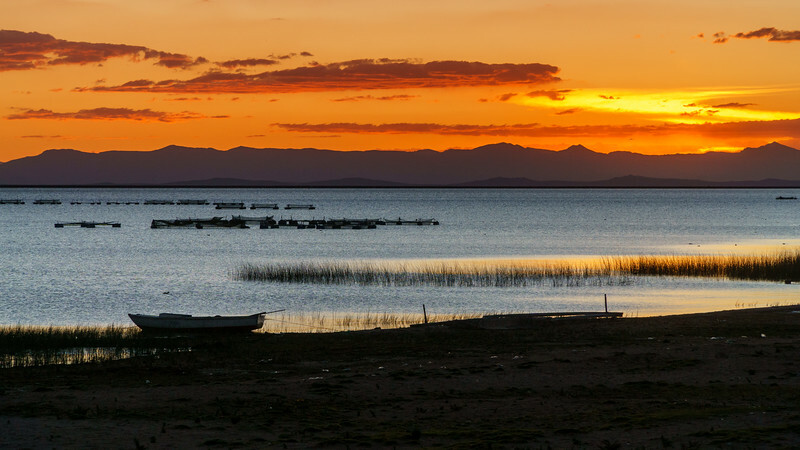 This album focuses on the Lake Titicaca. In Andean belief, Titicaca is the birthplace of the sun. Titicaca is the largest Lake (8372 km2 shared between Peru and Bolivia) in South America and the highest navigable lake in the world (3812m). I was very intrigued by the Floating Islands there that are little manmade islands made up of layers of cut totora (sort of reeds) and build by the Uros people. It was also an immense joy to discover Taquille Island belonging to UNESCO prestigious list for its Textile Art. It is also worth to mention that the sunrises and sunsets there are nothing less than outstanding. Needless to say that the Lake Titicaca was a highlight of the trip! Last but not least, I thank all the friendly local people I met there who allowed/invited me to photograph them. Marvelous sunset at Llachon Island. What a nice way to finish our getaway at splendid Lake Titicaca!